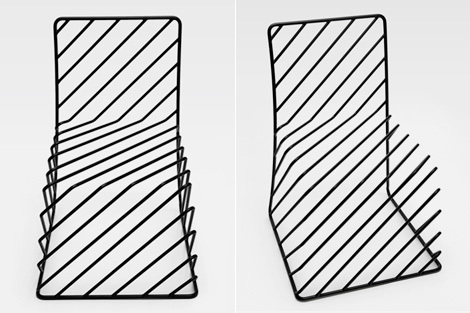 This wonderful chair is part of the Thin Black Lines collection by Japanese design collective Nendo. The items are designed to resemble doodles or sketches floating mid-air. This entry was posted in Design, designers and online finds and tagged Doodles, furniture. design, Nendo, Sketches, Thin Black Lines. Bookmark the permalink.